All our professionals at Russell J. S. Tom, DDS maintain the highest levels of accreditation and pursue ongoing education to stay abreast of the latest trends in dentistry. Russell J. S. Tom, D.D.S. Dr. Tom received his Bachelor of Science degree in Biology from the University of Hawaii and his Doctor of Dental Surgery degree from the University of Washington in 1983. He returned to Hawaii to spend a year of postgraduate training at the Queen’s Medical Center General Practice Residency Program. During his training at Queen’s, he was mentored and trained on all the dental specialties by an outstanding faculty of specialists and general practitioners. Although Dr. Tom believes that advanced technology is important for improving the quality and level of patient care, he also knows that technology itself cannot replace human touch, knowledge, and experience. That is why Dr. Tom has spent the last 26 years in practice being a student of his profession. He attends many classroom and hands-on continuing education courses every year to maintain his skills and gain insight on new advances. Dr. Tom served as Chief of Queen’s Medical Center Dental Division from 1996-1997 and continues to serve on many committees, including its resident selection committee. He also maintains an active staff status at Queen’s Dental Clinic where he lectures and mentors new residents. He gives back to the community as a volunteer at the Queen’s Dental Clinic, which treats the underserved and mentally disabled. 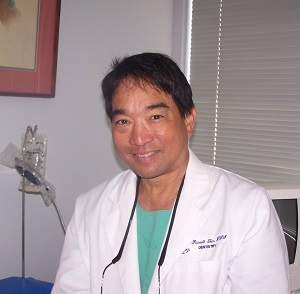 He has been recognized by the Honolulu Magazine as one of the Best Dentists in Honolulu in 2007, 2009 and 2010.